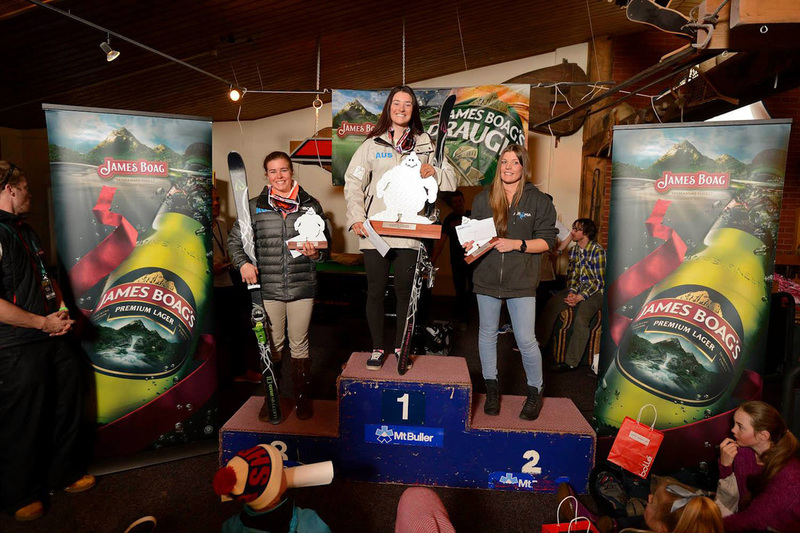 03/09/2016 - Australia's leading female mogul skier Brit Cox has joined illustrious company in taking out her fifth ABOM Mogul Challenge title. In winning her fifth title, Cox joins legendary Australian skiers Nick Cleaver and Matt Graham as the most successful skiers in the events history. 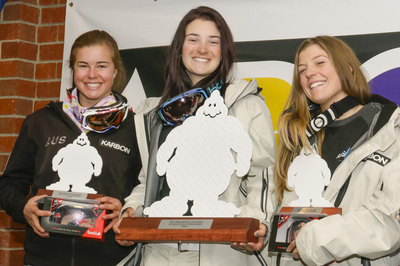 Pip Sparrow and Nicole Parks finished narrowly behind Cox in second and third places respectively. 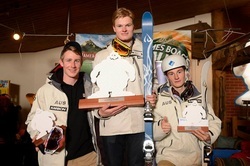 In the men's event, Brodie Summers was victorious recording the second ABOM title of his career. 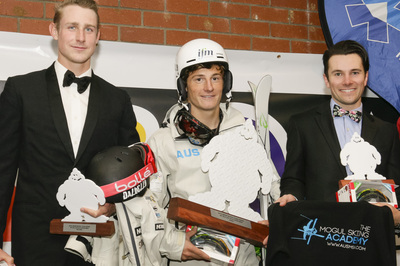 Also on the podium where NSW Institute of Sport Scholarship holders James Matheson and Rohan Chapman-Davies. 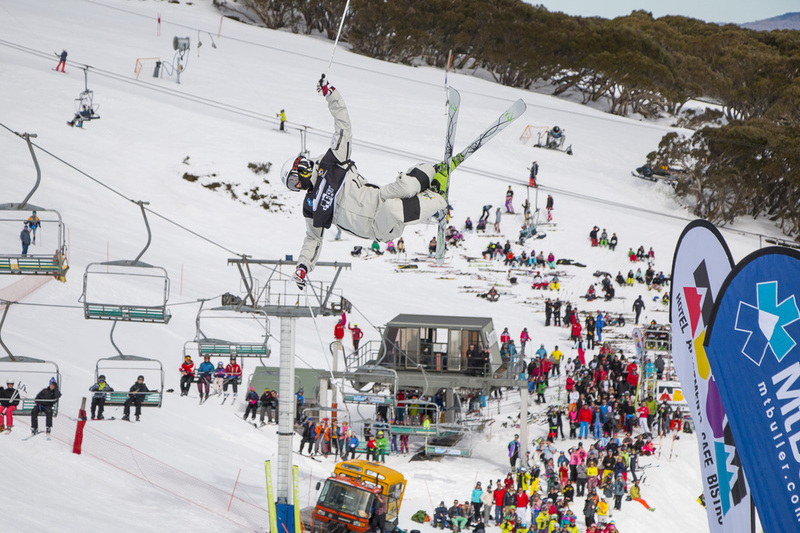 The action took place on the Chamois ski run in the Mt Buller Village, with a large field having to battle fog delays for most of the day. 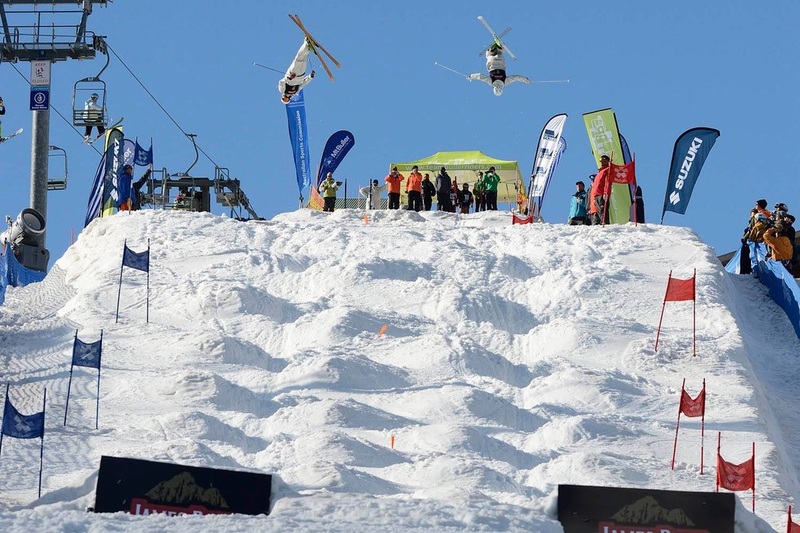 Fortunately the weather cleared in the afternoon for the event to take place for the 28th time, the longest running FIS Mogul event in the world. 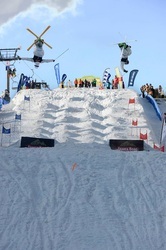 With the reduced time window, the the Olympic single mogul format was used. 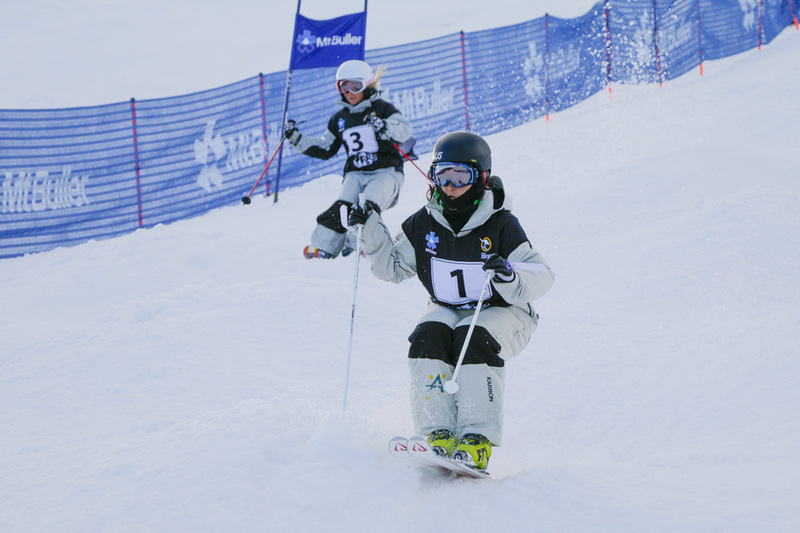 Youth (13 and under) skiers competed on the Sunday, and with more favorable conditions were able to take part in some dual mogul action. 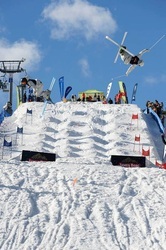 Competitors from Australia, Canada, China, Great Britain, Japan, Korea and the USA all took part in the event. 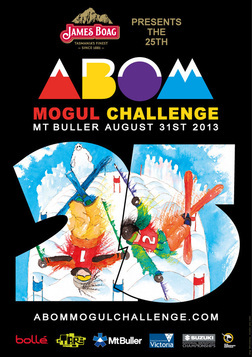 Britt Cox and Benjamin Cavet have emerged victorious in one of the strongest fields ever assembled for the ABOM Mogul Challenge at Mt Buller. 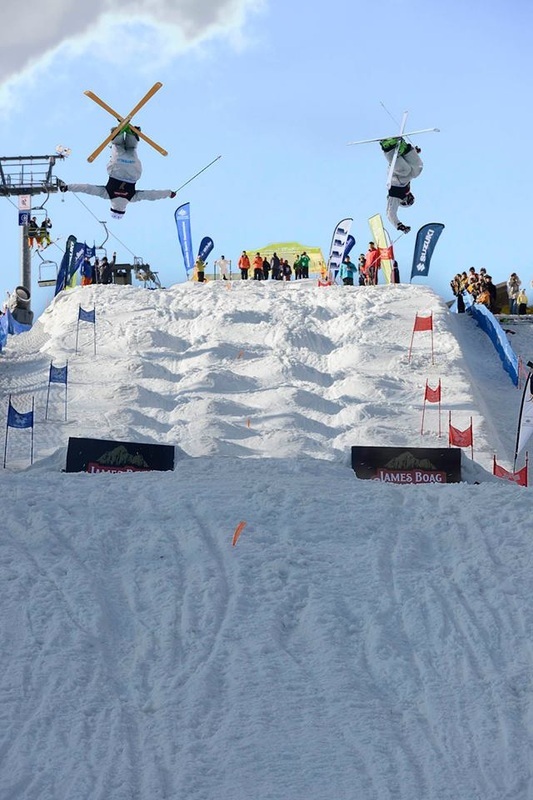 In its 27th year, the event attracted a record number of competitors, and featured some of the best skiers in the world highlighted by current world number one Mikael Kingsbury of Canada and World Cup teams from France, Canada and the Olympic Winter Institute of Australia (OWIA). 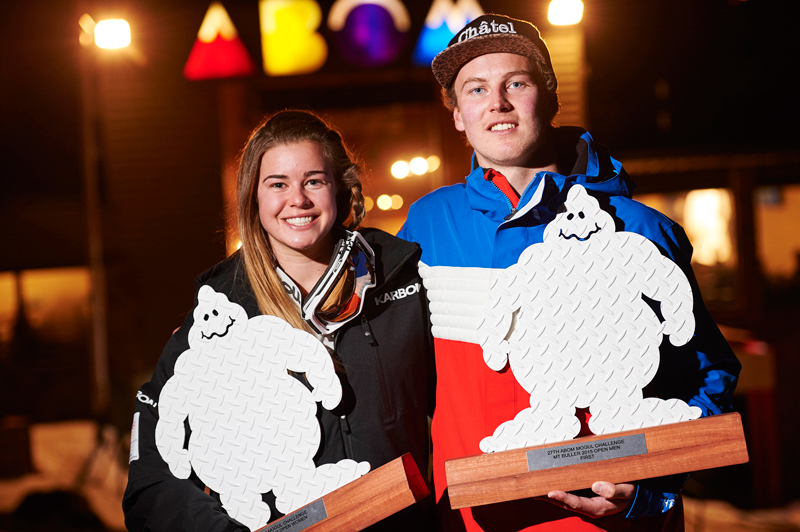 Britt Cox’s victory in the women’s event over World Junior Champion Perrine Laffont of France, gave Cox a record fourth ABOM title, the most won by a female athlete. 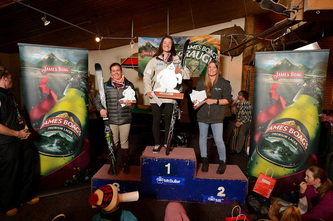 Rounding out the women’s podium was Mt Buller athlete Jakara Anthony who currently trains with the New South Wales Institute of Sport (NSWIS). 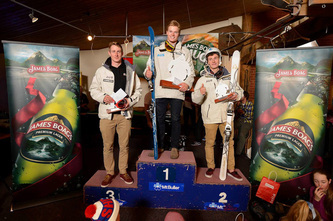 The men’s final featured one of the greatest duals ever seen at Mt Buller, with French Skier Benjamin Cavet taking victory over Canadian Mikael Kingsbury by one point, the smallest margin possible. Mt Buller’s Brodie Summers won bronze after out dualing Canadian world number three Phillipe Marquis. 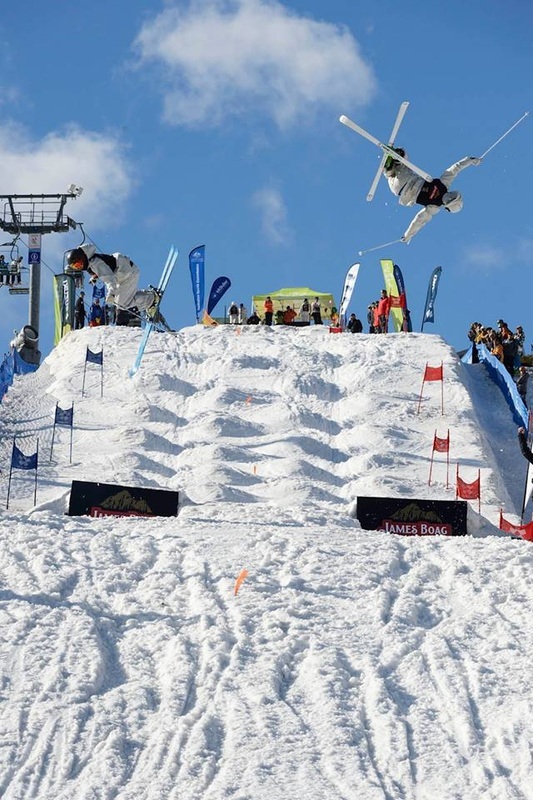 The day was a great success, with the event run in front of a large crowd on the Chamois course in the Mt Buller village under glorious blue skies. The dual mogul action featured spectacular side by side jumps and turns with most duals going down to the wire. Brodie Summers and Nicole Parks have emerged victorious from a great day of dual mogul competition in the 25th James Boag’s ABOM Mogul Challenge at Mt Buller. 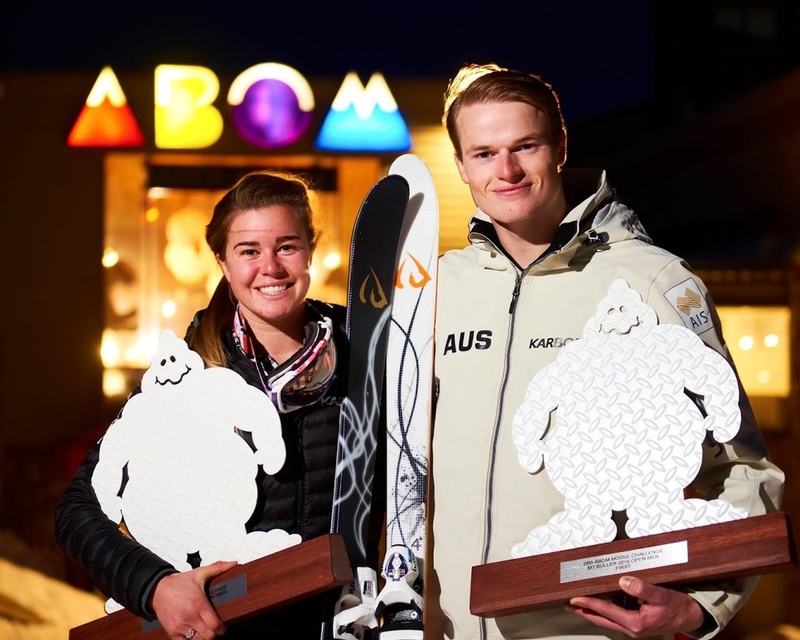 The performance of the two Sochi 2014 Olympic hopefuls was very impressive, ending the winning streaks of their AIS team-mates Matt Graham and Britt Cox who had won the past four and three titles respectively. 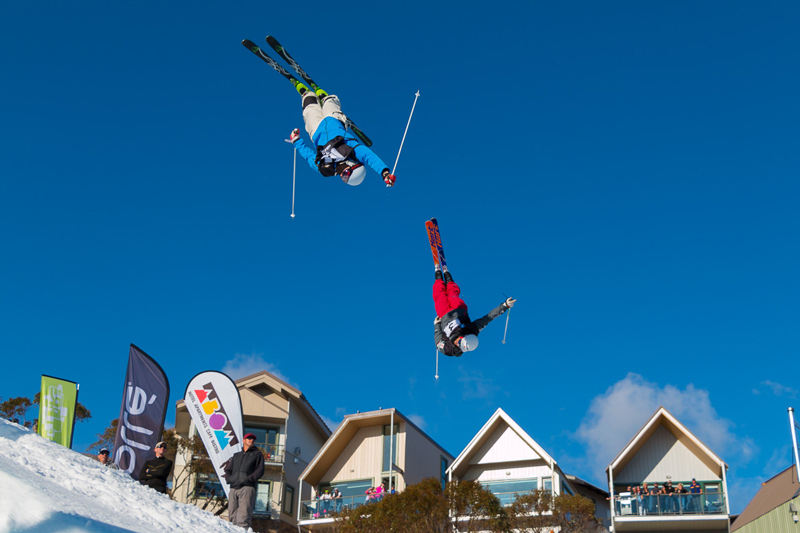 With a record field competing under blue skies on the Chamois course in the heart of the Mt Buller village, the action was spectacular with a number of exciting duals going down to the wire. 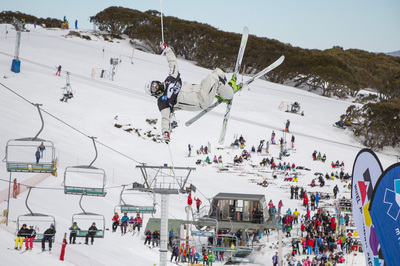 For Summers, who grew up training at Mt Buller, the win was extra special. 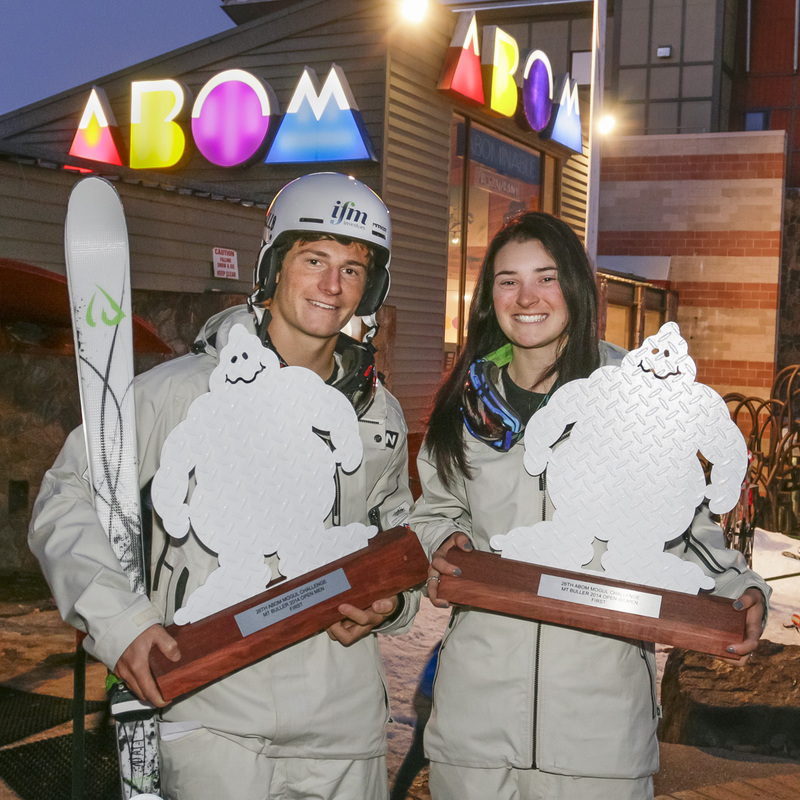 “Since I first started training moguls, I always dreamed of winning the ABOM Mogul Challenge”. Summers admitted that he felt a little more disappointment for Graham, who finished second, given that his mate was trying to win the ABOM for a fifth consecutive year. Rounding out the men’s podium was New South Wales Institute of Sport Skier, Rohan Chapman-Davies, who won a narrow dual for third place over AIS athlete Sam Hall. In the women’s event, Parks added a second ABOM trophy to a previous win in this event in 2009 with a narrow 13-12 win over second placed Perisher athlete Madii Himbury. 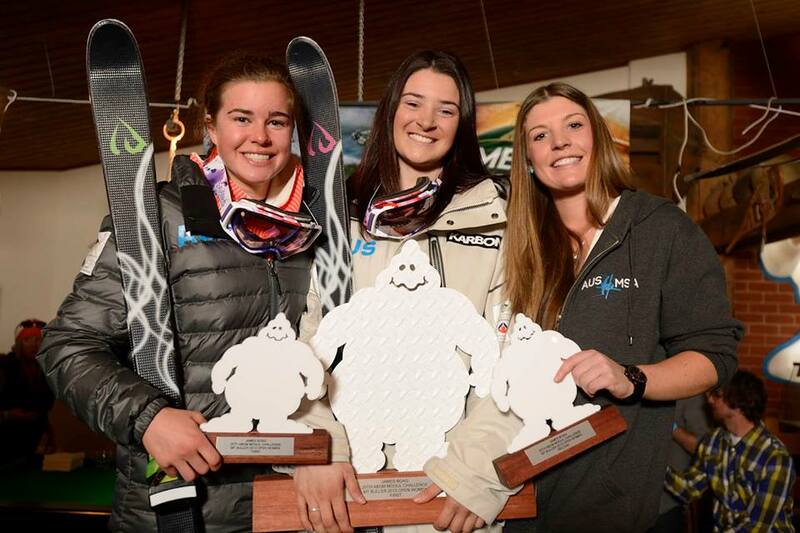 In the biggest upset on the day, Cox lost a tight semi-final dual with Himbury, with Cox relegated to third after winning the consolation final over emerging Mt Buller junior Claudia Gueli. Parks said that she will also take a lot of added confidence out of today’s win and use it to further spur her on as she prepares to compete in the Winter Olympic Games. “Winning today means a lot to me because it is the event’s 25th anniversary. I won the 21st event so it is great to take it out again,” she said. This Saturday the 31st of August, teenage stars Matt Graham and Britt Cox will be aiming to make history by continuing their amazing winning streaks in the 2013 James Boag’s ABOM Mogul Challenge at Mt Buller. Both eighteen-year-old Australian Institute of Sport athletes have dominated the event in recent years, with Graham winning the past four men’s titles and Cox the past three women’s titles. If Graham can win again on the Chamois course, he will tie two-time Australian Olympian Nick Cleaver’s record of five straight ABOM titles, which Nick achieved between 1991 and 1995. Aiming to end the winning streaks of Graham and Cox will be there AIS team-mates, who are on the rise in advance of the 2013-2014 season, which will culminate in the 2014 Sochi Olympic Winter Games. Graham’s main challengers in the men’s event will come from Mt Buller’s own Brodie Summers, who made his first podium at the National Mogul Championships at Perisher last week. 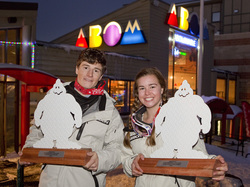 Sam Hall, a previous winner of the ABOM event in 2008 and seventh place finisher at the 2013 FIS World Championships, will also be strong contenders. 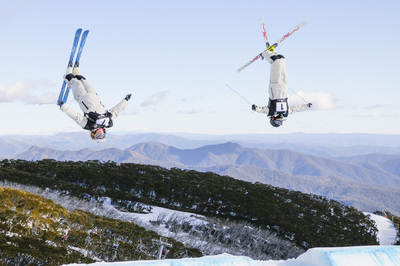 In the women’s event, Cox will face strong competition from day one winner of the National Mogul Championships Taylah O’Neill and 2009 ABOM winner Nicole Parks. *Shot, Produced and Edited by Tim Byrne. The 25th Year Celebration Poster - out now! Each year a poster is produced to entice individuals brave enough to give the best mogul skiers in the country a run for their money. These signature posters began by featuring the loveably abominable snow man, the ABOM’s mascot, designed by Alan Marshall, poster 1989-1992. More recently the posters have featured Olympics athletes, Team Buller members and a plethora of impressive tricks, which best represent the evolution of the ABOM Mogul challenge and the progression of mogul skiing worldwide. This years is a retro style referencing the early posters of the event, and clearly the 25th celebration. To see all 25 years of posters click now. Want a copy of the 25th Anniversary Poster illustrated by Jenny Laidlaw? Free Entry to After Party and more..
“So you loved the mogul skiing, keep the action rolling at the Official James Boag’s After Party with one of Australia’s hottest electro/dance acts Vandalism. To get the party started everyone who arrives between 8pm – 10pm will not only receive FREE ENTRY they will also get a FREE James Boag’s Draught on arrival at the Moosehead bar.